Digital editing is kept to basics: color, contrast, sharpening & cropping. All presented work is archival. Printing done by artist on luster paper. Matting, mounting & framing performed by artist. In this quiet nature photography, the viewer can find a place of contemplative solitude, giving them a point of meditation & peace. The photographer blends abstract expressionism, minimalism & occasionally surrealism, creating “Simple Images for Complex Times”. 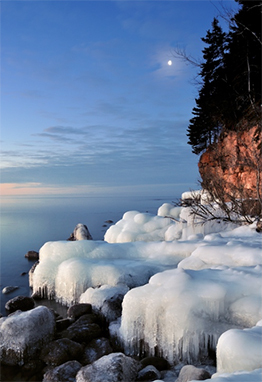 Minnesota themed landscape and cityscape photography consisting of metal prints, canvas prints and matted photos in various small and large sizes. I frequently use long exposures to create visually dynamic images with vibrant tonality that highlights the beauty of our state. My photographs are taken with my SLR digital camera, retouched in lightroom for exposure then printed onto cured aluminum. ANy retouching in post processing is with the intention of bringing the photography as close to how it was when I was in the landscape. I wish to show the natural beauty without creating something fake. Photographs are digitally printed from my original files and presented in acid-free mats, canvas and metal. My approach to photography is based on vigilance and patience. I strive to create interest through the mindful use of composition, perspective, and natural light. B&W photos of Dancers in a studio setting. Shot on film & digital.No photoshop"magic" or composites of any sort, all images are as shot. Prints are made by the artist and have a resin coating which adds great depth and clarity. Purity in shape, form & execution. 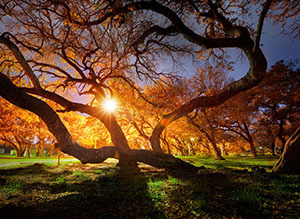 Tony Small, is a professional fine art photographer specializing in unique, moving landscapes. Tony’s fine art prints combine dramatic photography, vivid colors and artistic touches to create new, captivating visions of nature and our unbelievable world. 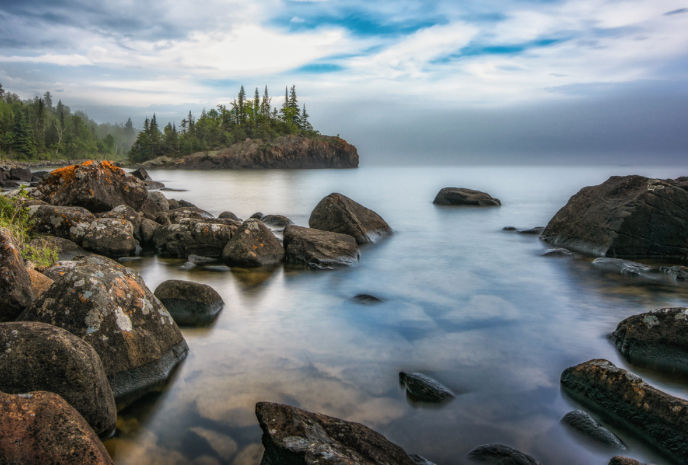 Using high resolution digital photography, he’s able to capture the subtle details of some of the most unbelievable landscapes and transfer them to large prints with stunning clarity and color. His work is presented on fine art paper, canvas, metal or acrylic. His award-winning images are printed in numbered collector editions of 50-250 but can be purchased in smaller non-numbered prints. Tony gained an interest in photography early in life when his uncle gave him a camera he had used for years. With the light meter not working Tony experimented until he became very proficient at setting the camera to perfectly utilize the available light. Tony has studied the art of photography for years and shot with several iconic landscape photographers across the country. 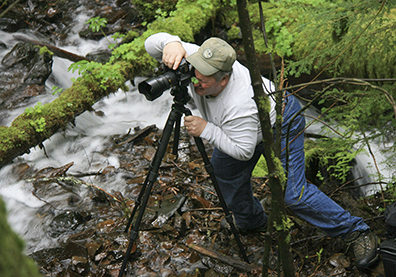 His love for photography, people and nature really shows in his work. Abstract landscapes photographed with intentional camera movement and layered multiple exposures. To put it simply: I’m a Minneapolis photographer with a mild obsession with Barbie. Influenced by imagery from the 50s and 60s, I create scenes with the dolls in studio that have a sense of whimsy mixed with a little sarcasm. To me, Barbie is a positive, strong and empowering figure and I try to utilize her to create conversation. And to answer your question, I only have around 40 dolls. 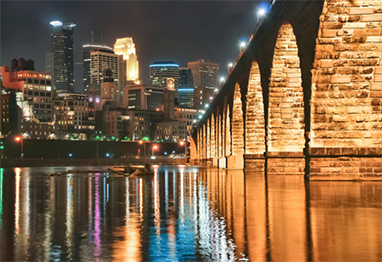 Digital photos on canvas in sizes up to 4x9 feet capturing Twin Cities magic and nostalgia. We complete every step of the process ourselves, from image capture, to inkjet print production, final matting, mounting, and framing – all with archival acid free components. Most photos are printed on canvas, some on metal or acrylic, hand sealed with a uv protectant and waterproof preservative then hand stretched. We always use the utmost care, professional equipment, and attention to detail. We want our audience to enjoy viewing our finished product as much as we enjoy producing it. I use long exposures with streetlights, flashlights, and city lights in the dead of night to make darkness come alive. In essence I use my camera as a tool of discovery - a key to explore an unseen world full of color and light. I photograph the unique, rich and colorful scenes that I encounter in my travels across Europe. These are then printed to watercolor rag paper or canvas. In the image preparation I use a proprietary technique which creates a brilliant glow, adding depth and a painterly look to these scenes of old-world places. Canvas prints are framed by hand in my studio. Rag paper prints are hand-torn and framed by me as well. I hand print my photographs on fiber paper and mount them onto painted birch panels. I add lacquer, UV coating and hand pour resin over the whole piece. This adds depth and a clean finish. I also hand transfer my photos onto white marble. The paper is removed and I add multiple layer of acrylic to the surface. Cork is then added to the back. These can be used as coasters or small pieces of affordable art. The artist creates compelling photographs of the natural world with a unique vision and skilled use of color. He then prints, mats, and frames with the highest quality archival substrates. I use film and digital camera. I only use natural light and no post production. All images are limited edition of 250 of the image. Most of my photographs were taken in the moving clouds and mist, which result in strong pictorial effects. They express the exquisite and tranquility of nature. I try to merge the tradition with the modern, the East with the West. The more you look at my works, the more you will enjoy them and relax yourself. All my works are produced using traditional photography techniques and tools. Some of my works are combinations of two or three negatives. I have tried to show in my works special atmosphere, best pictorial layout accurate colors. Rich layers and finest framing. Jamie Heiden lives in the beautiful Driftless area of western Wisconsin. For as long as she can remember, she has been a collector of images. She stores them in her mind; she captures them with her camera. For her, pictures really can tell a story. Life’s simplicity is her inspiration and conveying that story is her goal. Jamie is a photographer first. But when she sits down at her computer, the beginnings unfold. 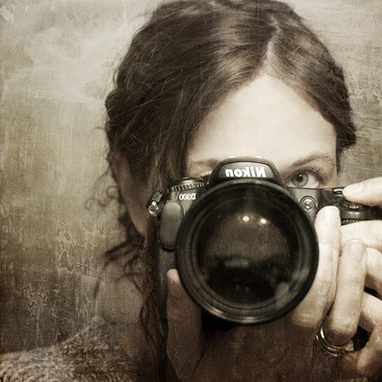 Her finished images contain multiple photographic layers using tasks once performed in the darkroom, now tools she has at her fingertips on the computer. What would have taken hours years ago can be done and then undone in half the time, not necessarily making the completed process any shorter but allowing for ten times the amount of experimenting within. All of her work contains multiple photographic layers combined digitally. She works on each individual layer. Of course all images are Jamie's and no filters are used in the process. The end result is an image ever-so-slightly removed from traditional photography. Landscape and still life photography.I perform all aspects of my craft including image capture, printing and framing. I offer archival prints on paper, canvas or aluminum. Color and Black and White photographs digitally processed, printed, and framed by the artist.